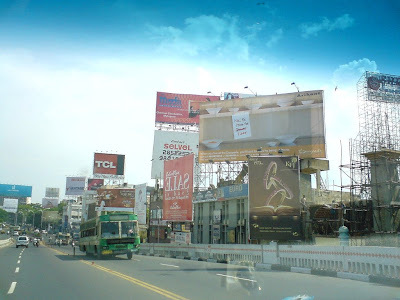 Browsing through pictures of last year, I came across a little movie I shot from a billboard in Chennai. 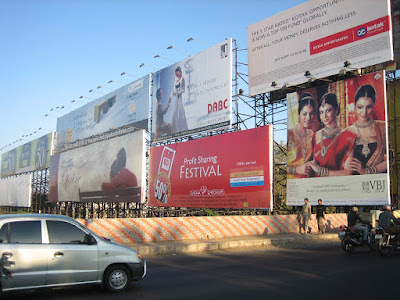 We were safely behind the glass of Sid's AC-ed car and therefore the music of the car kind off synchronises with the billboard...I like it (as much as the associated memories ). 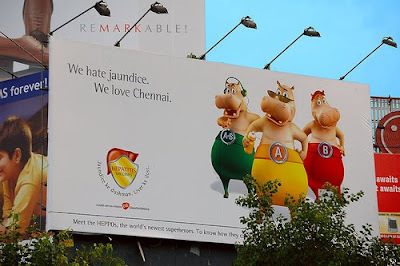 We hate Jaundice We love... Indian copywriters?